Alexa is looking better than ever! I love having this little screen besides my bed! Asking her to show me movie trailers, set alarms, and make calles has never been better! Since today, January 25, sees the Amazon Echo Spot launched in the UK and across Europe after coming to the US market late in 2017, we thought it was time to drill down on this hands-free video device so you can see which of the Echo family makes the best fit for you. Back in September of last year, there was a big Echo event in the Seattle. 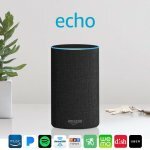 Here, a redesign for the stalwart Amazon Echo was announced along with a supersized Echo Plus and the all-new Echo Show. With Alexa, your favorite digital assistant, complemented by a visual aid in the form of a nifty color screen, we’ll look today at why you should consider adding Echo Spot to your smart home. 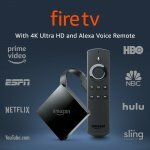 As an extra incentive for anyone still on the fence, Amazon has for the first time discounted this device. By a pair of Echo Spots in any color for a substantial saving or benefit from a slight knock-down on a single device. So what, exactly, does this compact but hard-hitting device do? Amazon Echo Spot: What’s It All About and What Does it Do Well? Put simply, Amazon Echo Spot brings you your beloved digital assistant Alexa in an enticingly downsized package along with the bonus of a miniature screen that’s small but perfectly formed. Let’s get into more details about the Amazon Spot! The Echo Spot is deliberately designed to be ultra-compact so it blends in by your bedside rather than dominating the space. Less than 4 inches high and weighing a scant 15 ounces, this is a tiny device with anything but tiny performance. The 2 ½-inch screen is much smaller than you’re used to on your smart phone but, let’s face it, if you want a larger screen then you have plenty of other devices tailor-made for that purpose. Resembling an old-fashioned circular alarm clock, we have to say the design knocks that of Echo Show out of the park. If you’re aesthetically-driven, this is one of the key advantages Spot boasts over its much more unwieldy bigger brother. Color choice is limited to black or white. Other options include a bundle with a TP-Link bulb thrown in at a nominal surcharge or, for slightly more, a 2-bulb Philips starter kit. 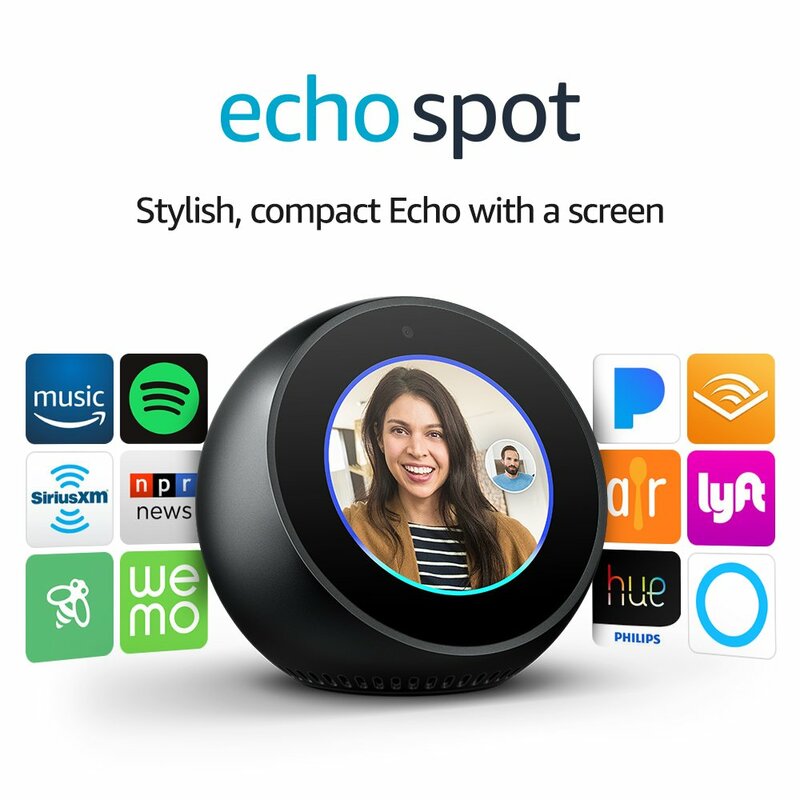 Echo Connect can turn your Echo Spot into a voice-activated speakerphone but you’ll need to dig a little deeper for this. While looks are always important, it’s what’s under the hood that really counts with any electronic device. The good news is that Echo Spot is most certainly not a case of form over function. You’ll get 4 mics positioned on top along with 2 volume buttons and a single Privacy button. With the 3.5mm output and mains adapter socket tucked away at the rear, you get all the functionality you need married to a lean, clean look. Since the screen’s intended purpose is to be glanced at rather than actively watched for extended periods, the size is not a deal breaker. Indeed, many users find the tablet-sized 7-inch screen on Echo Show to be unnecessarily large. Whether you want to see a brief news clip or your loved ones faces on video chat, the screen delivers with surprising clarity and sharpness. The touchscreen responds well to gentle nudges and touches meaning you can navigate it with ease for anything you don’t want to bark at the screen. These mics harness the new generation of far-field technology along with beamforming and jacked up noise cancelling. This all comes together to ensure that your instructions are taken on board even if you have some music playing and you’re calling from across the room. If you’ve been previously disappointed by needing to endlessly repeat yourself to prompt Siri to take action, Alexa and the all-new Echo Spot will be a breath of fresh air. Finally, then, digital assistants are starting to do more than just look good on paper. The speaker is adequate in its own right with the sound relatively balanced. While the Echo Dot doesn’t pass muster for much more than listening to someone on chat, you’ll be able to play music without being underwhelmed through the Spot’s speaker. That said, simply harness your Bluetooth speaker or use the output to connect Echo Spot to your stereo and you can benefit from a far richer audio experience without any fanfare. You can make and receive voice or video calls to other Echo devices or to any smart phone with the Alexa app installed. The Drop In feature recently introduced by Amazon makes an appearance, too. This allows you to connect with your nearest and dearest without them needing to manually pick up. This function is not for everyone so think carefully about privacy issues before setting Drop In up. After all, you’re not forced to use it. If you like the idea of Drop In but don’t want someone bursting in on you virtually, don’t worry… The 10 second blur allows you to come to your senses rather than being caught unawares and we think Drop In is a nice touch overall. If you want to listen to music without needing to keep flicking through a device, the hands-free functionality of Echo Spot will add a new dimension of convenience to your listening experience. Connecting easily to Spotify and TuneIn, iHeartRadio and Pandora along with the ability to stream from Apple Music, the combination of full Wi-Fi connectivity and Alexa’s intervention makes listening a much richer experience than flicking from CD to CD or physically changing radio stations. The small screen comes fully to the fore allowing you to follow lyrics as you tap your feet, immerse yourself in album artwork and create playlists to streamline things a treat. Whether you want Alexa to turn up the volume, select you a genre or dig out the latest tunes, the way we listen to music is changing and Echo Spot embraces those changes delivering you a jukebox with a twist. What is there to say about Alexa that we don’t already know? Well, in the case of Echo Spot, the fact that she now comes with a visual prompt in the form of the dinky screen. But need rarely enters the equation with pioneering devices and, as Amazon continue to develop visual Skills for Alexa, we imagine that you’ll rapidly be able to do far, far more than simply browse song lyrics. With Echo Spot, you can perform basic organization in ways that harness the screen. Whether you want to flash up a timer so you get your morning eggs just right or browse your daily agenda, there are many ways in which the screen can be genuinely useful. Video flash briefings are another novel feature so you can stay abreast with what’s going on as you bustle around the kitchen. Teaching Alexa to recognize your voice is not taxing and the technology outlined above means she’ll hear you from afar even if there’s ambient chatter or music. Download the Alexa app for iOS (9.0 or higher) and Android (5.0 and upwards) so you can take the show on the road and make calls or message your Echo Spot with ease wherever you happen to be. This handy page from Amazon gives you a decent overview of the Skills in place so you can really put Alexa through her paces. More and more people are turning their homes into smart hubs these days. We’re not here to try to sell you on the virtues of smart homes. If you don’t have one, it’s probably only a matter of time before all of us start going down that route. Well, Alexa can do everything from dimming the lights to turning on the TV, adjusting the temperature to firing up your morning coffee. You’ll be able to sing out your instructions without fumbling for a device and integrate Alexa with everything from LED light bulbs and thermostats through to your baby monitor or sprinkler system. It would be remiss of us not to draw attention to some of the concerns about security with this new generation of always-on devices. In effect, Amazon introduces a camera and microphone into your inner sanctum. Although an Echo device was hacked to turn it into a live microphone, this demanded physical access. The practical chance of someone remotely hacking your Echo Spot is incredibly low. In relative terms, few people are using these devices right now anyway which makes them low priority for the maliciously inclined. So, in our honest opinion, as long as you’re comfortable with the thought of a device like this in your bedroom, while security issues might become more prevalent in time, for now Echo Spot is a pretty safe bet. If you want to invest in an Echo device with a screen in place, you’re limited to Echo Show and Echo Spot. We reviewed Echo Show here and it’s a fantastic piece of kit but if you’re looking for a much smaller alternative that packs all the core features without the large footprint or more elevated price tag, Echo Spot makes perfect sense. 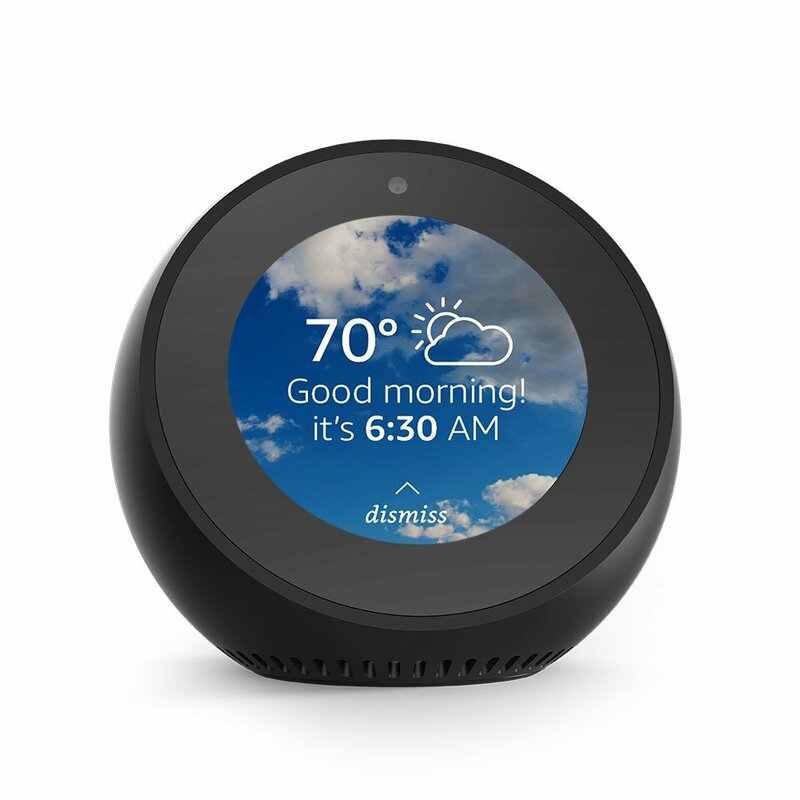 Amazon’s strategy is to price Echo devices so competitively that it’s not at all out of the question to build up a suite of interconnecting devices over time. This means it’s not necessarily a case of investing in either Echo Show or Echo Spot but, quite reasonably, both. 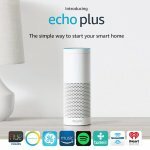 If you don’t think you’ll take advantage of the screen, the Echo or Echo Plus might be wiser choices for you given the recent revamp. If money is too tight to mention, Echo Dot is the obvious solution. If you’re looking for the advantages of Echo Show without the size or price, Echo Spot might just be the smartest investment you make this year. To ice the cake, take full advantage of the discount currently being offered and add Echo Spot to your smart home today while saving a few precious bucks into the bargain. For arguably the best Echo overall in an extremely strong line-up, there’s genuinely little we can say to knock this diminutive digital butler with a screen. Last updated by Neil Appleby at May 28, 2018 . Kindle Fire – What Does It Do?